With the recent announcement of the Department of Defense (DOD) policy emphasizing reducing the number of non-deployable service members and improving personnel readiness across the force, readiness is an increasingly significant topic. Dental health is a key aspect of personnel readiness, and the U.S. Army provides a representative example of military branches’ efforts to maintain oral health- and dental-readiness levels among its service members, important not only to their general health status, but also to minimize soldiers’ risk of dental emergencies in theater and to reduce the need for medical evacuation. 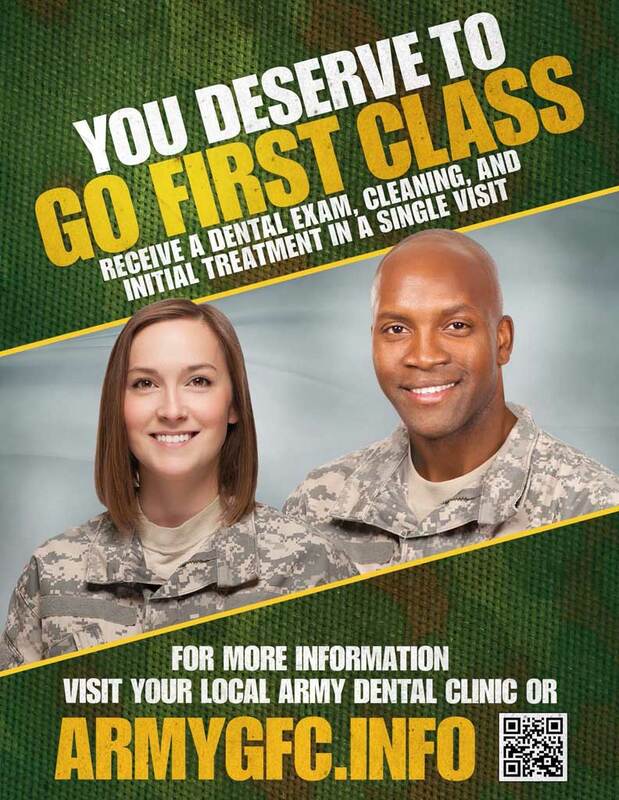 In order to determine soldiers’ dental readiness and minimize their risk of dental emergencies while deployed, the Army utilizes the Department of Defense Oral Health and Readiness Classification System, assigning their status to one of four classes. However, despite best efforts to screen and treat dental conditions as efficiently as possible, sometimes dental emergencies during deployment do occur due to pre-existing disease, postoperative complications arising from last-minute dental treatment at mobilization platforms, new disease, or orofacial injuries, Rogers explained. Lifestyle differences in deployed environments, including poor oral hygiene, unhealthy diet, or tobacco use, can exacerbate dental problems such as pain or infection caused by cavities, infected wisdom teeth, or acute gingivitis. Dental Class 1 indicates the soldier has had a complete dental checkup and cleaning within the past year and requires no dental treatment (dental wellness); Class 2 assignment means the soldier requires some type of dental care, such as a simple filling or dental cleaning, but the treatment needs are unlikely to cause a dental emergency in the next 12 months; Class 3 designation specifies the soldier requires dental care as soon as possible for urgent dental treatment needs that are likely to cause a dental emergency in the next 12 months; and Class 4 means the soldier is in need of an annual dental exam to determine oral and dental health. Classes 1 and 2 are dentally ready for deployment, while Classes 3 and 4 are considered not dentally ready and non-deployable. 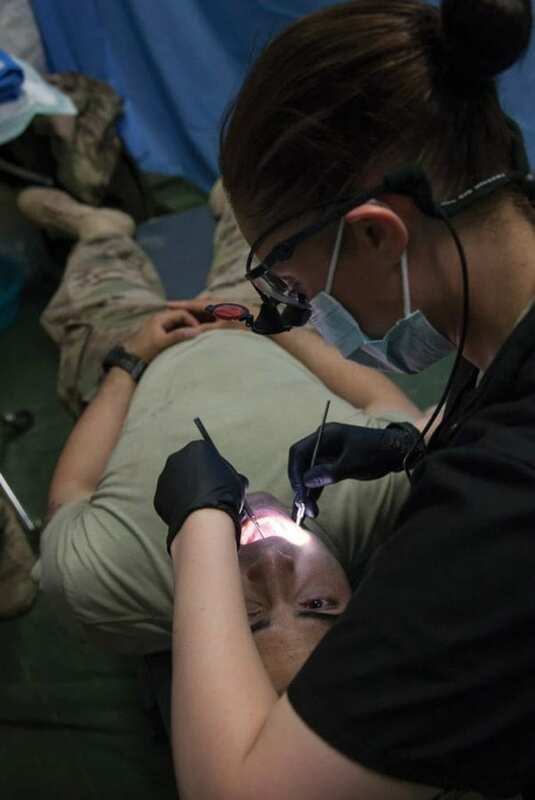 “One of the big highlights in Army dentistry since 2013 has been improvements not only in dental readiness, but dental wellness,” said Maj. Peter Drouillard, DDS, deputy chief, Dental Programs, U.S. Army Medical Command. He cited current numbers for active-duty soldiers showing that 63.3 percent are Class 1, 34 percent are Class 2, 0.8 percent are Class 3 with urgent dental treatment needs, and 1.8 percent are Class 4, in need of an exam. That translates to dental readiness levels at 97.3 percent. For unit commanders, a color-coded monitoring and reporting system for readiness clearly shows which of their soldiers need dental exams or treatment, said Rogers, so they can ensure those soldiers complete their treatment. “One of the most important things is that the command team stays on top of the issue, and encourages those soldiers to come in for care,” she said. … it’s also crucial to keep Army dentistry readiness programs fresh and to educate new dentists coming into the fold about those programs as personnel changes occur. Another ongoing effort involves increasing use of CAD/CAM (computer-aided design/computer-aided manufacturing) technology. Rogers explained that if a soldier in a stateside setting needs a crown, for example, they could transmit a digital image of the prepared tooth from a handheld scanner to a dental facility with CAD/CAM capability where a crown could be milled and shipped. “Theoretically if you have that on site, the patient goes home with the crown the same day. And if you’re nearby, you could have their crown back in 24 to 48 hours,” she said. Without this technology, it can take weeks for the same process, so this improves readiness because when a patient is waiting for a crown, they’re usually considered Dental Class 3, and non-deployable for that time. Drouillard noted that it’s also crucial to keep Army dentistry readiness programs fresh and to educate new dentists coming into the fold about those programs as personnel changes occur. “The military is renowned for moving the pieces around; soldiers move around the country and the world, so as you transition, it’s important to sustain the gains that you’ve accomplished through successful dental programs,” he said. This article was first published in the Veterans Affairs & Military Medicine 2018 Spring edition publication.